How can u travel from one end of Singapore Boon Lay to central part of SG, Outram Park/ other towns for less than S$0.82 ? Take a feeder bus from your home (77¢) to nearest MRT station and travel before 7am. Once u reach central stations*, alight before 745am and tap your ezlink card , its free as the MRT exit gate panel will display nothing. 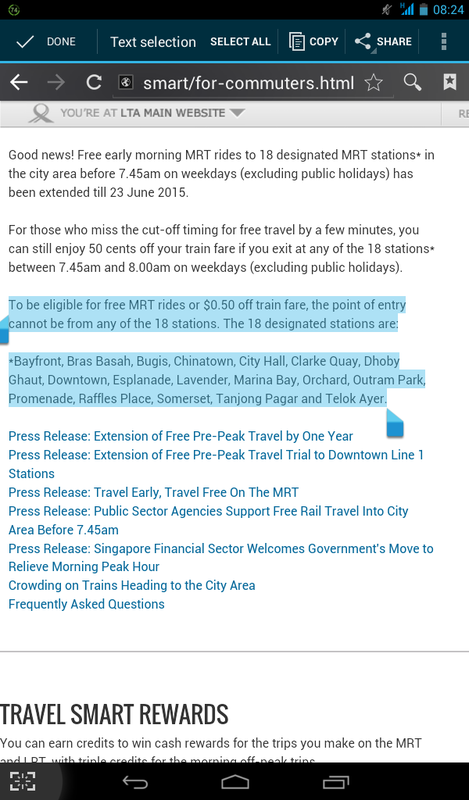 Free travel project will be extended till 23 June 2015.
taken from http://www.lta.gov.sg (see highlighted portion). Update and info is correct as of May 2014. Pls check with relevant authorities.